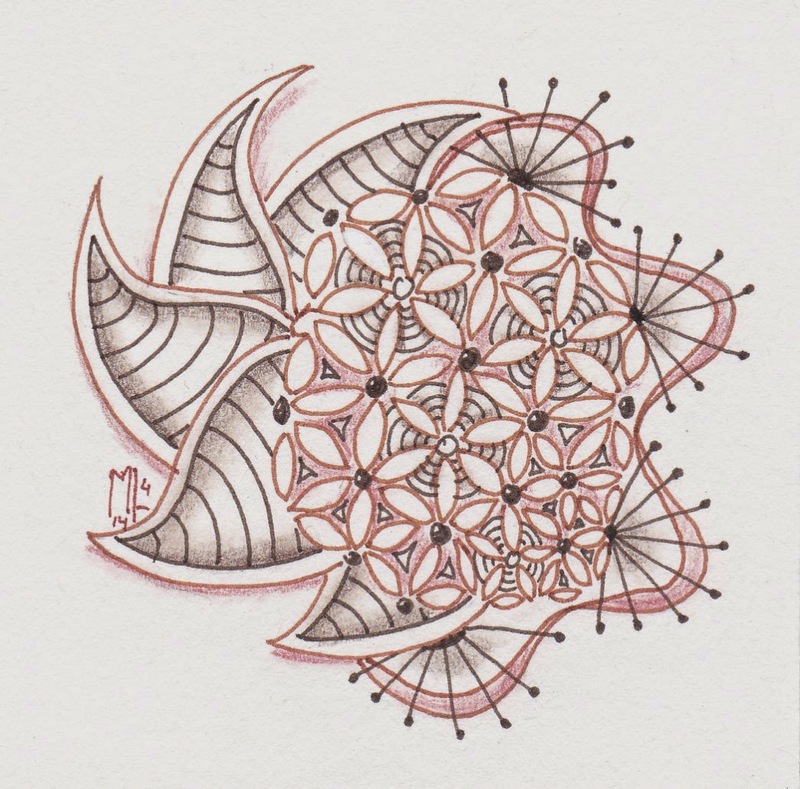 We should work with the lovely tangle "Camelia" by Anne Marks. 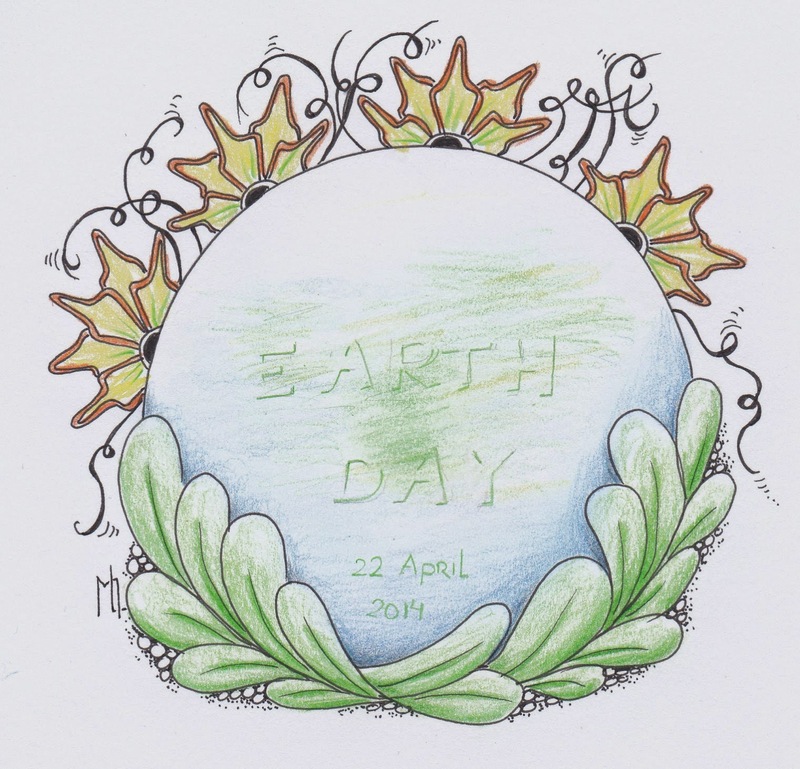 I combined it with the tangle "Bibbins"
Today 22 April it's "Earth day". And the challenge for this week is to make something for this day. 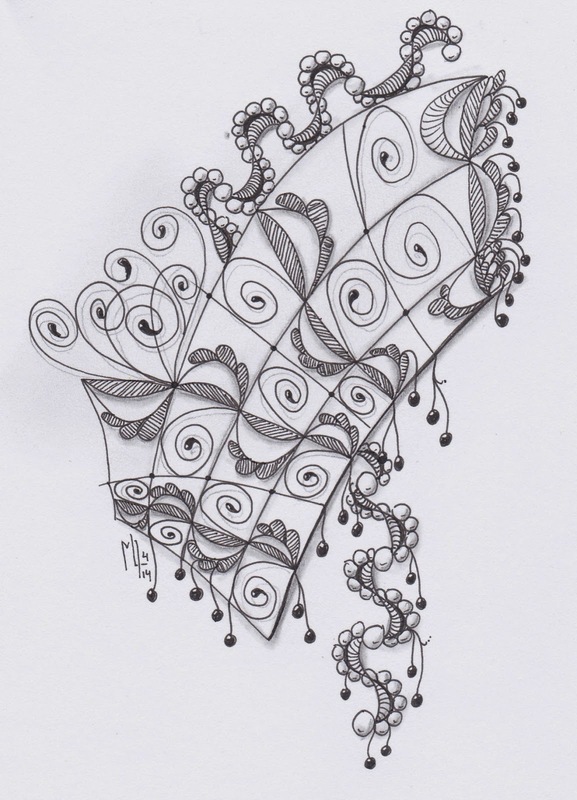 As I already expected one of this weeks the challenge is to use Rixty, the new tangle of Zentangle. I combined it with another tangle of witch I can not find the name anymore. I drew it on very white paper, but the scanner makes it look grey. 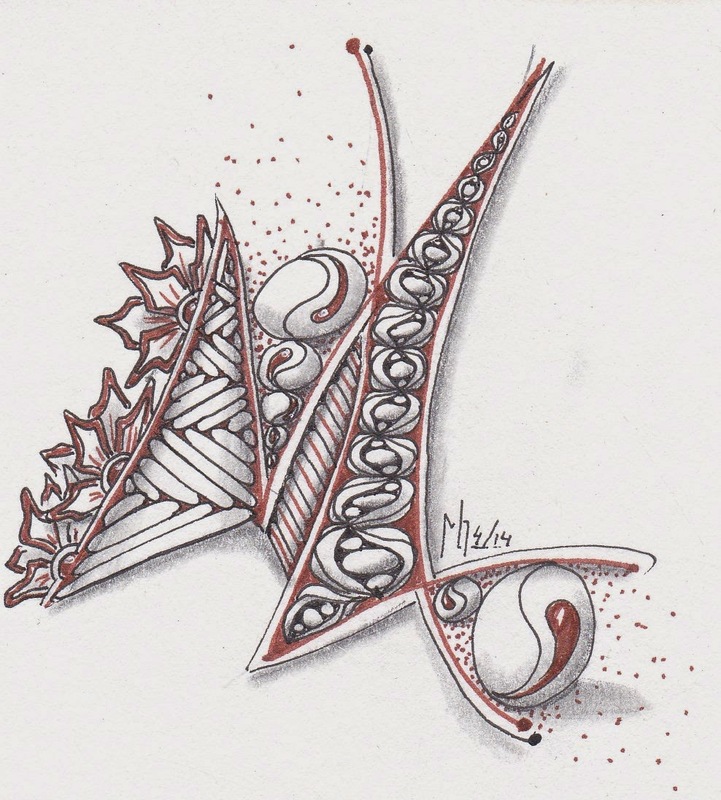 For the challenge of this week we should us our initials as the string. A lovely but difficult challenge, but I'm OK with the result. 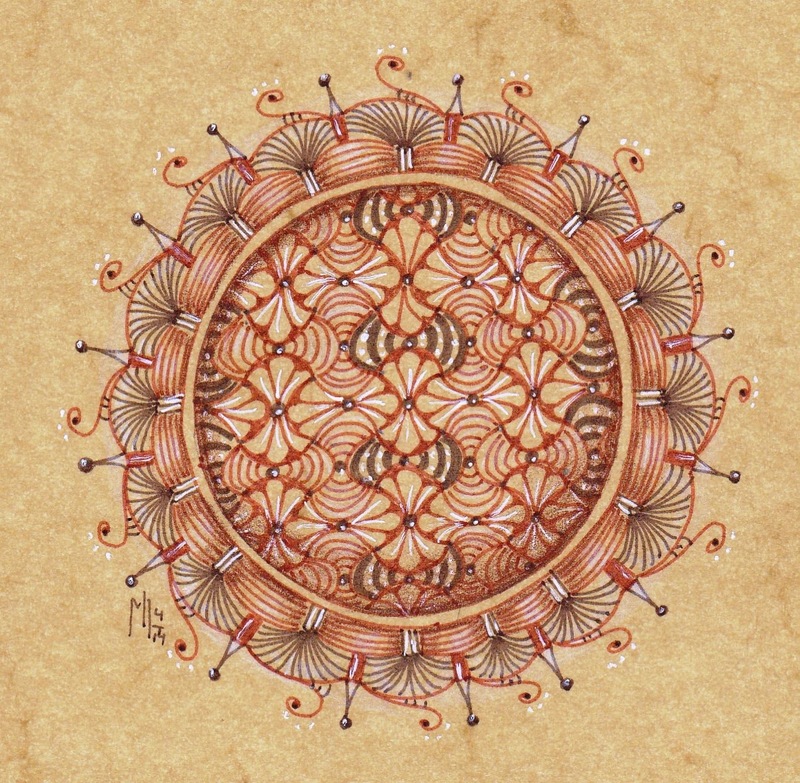 A circle of Warped Eggs with Sanquin and Dark Sepia `Pitt Artist pens` and a white Gelly Roll. "In a Quandary about Quandary"
I love Quandary, it's a great tangle to fill empty spaces. It makes me think of Tripoly a lot. I used my new Faber Castell fineliners in Sanguin and Sepia.